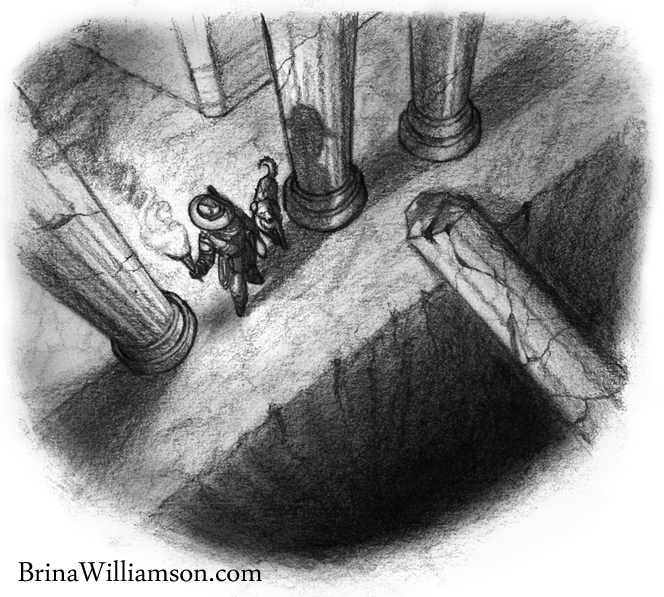 You’ve met Merona Grant (and if you haven’t, you should), and though for the time being I’ve put my writing edits on her story on hold (so I can go back with fresh eyes later), I’ve been plugging away at sketching in some of the interior concept art for her upcoming adventure. And well… I thought I should give everyone a glimpse of just one of the pieces I’ve done so far. I had contemplated talking all about this picture… who’s in it, where they are, and what chapter it will feature in within the novel. But then I thought, “Nah.” A picture’s worth a thousand words, right? I’ll just let it speak for itself. I mean, it seems pretty clear what it’s trying to say.